Before inserting, pinch nose and blow to clear your ears. 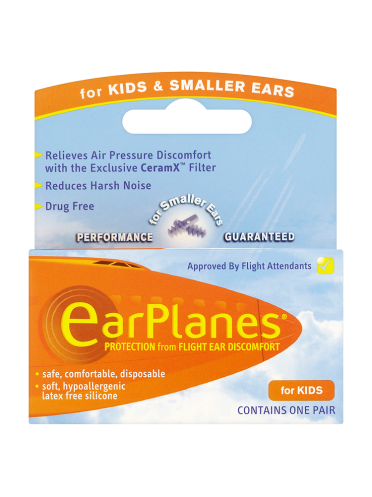 For best results, Always insert EarPlanes one hour Before landing. Remove After landing and when cabin door is opened. 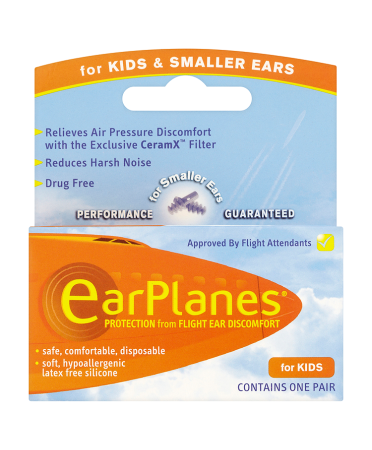 Chronic sufferers may Also insert EarPlanes just Before takeoff. 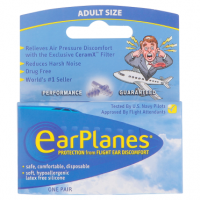 EarPlanes may be removed when the airplane reaches Maximum altitude and reinserted one hour Before landing. For maximum results, use your opposite hand to pull the top of your ear upward. Insert the ribbed end and turn like a corkscrew until snug. Do not reuse after two flights since pollen, dust, and moisture will reduce effectiveness.